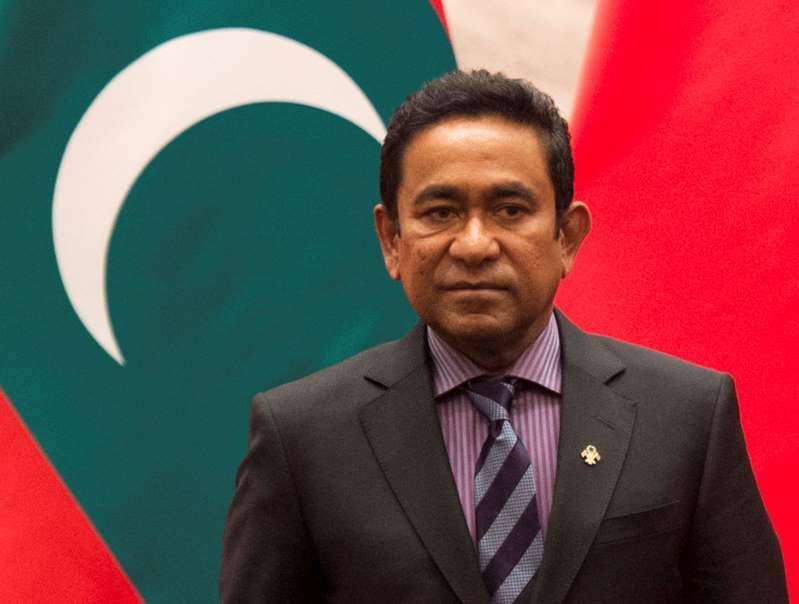 An anti-money laundering body in the Maldives has informed police that President Abdulla Yameen received $1.5m in hard currency days ahead of a contentious presidential election in the Indian Ocean island nation. Yameen, long dogged by allegations of corruption and rights abuses, suffered a decisive defeat in the September 23 vote in an outcome hailed as a win for democracy in the upmarket tourist destination. A confidential letter seen by Al Jazeera said the president received the money in two instalments to a private bank account at the Maldives Islamic Bank. The document from the Financial Intelligence Unit (FIU), an agency under the Maldives' central bank, was dated September 13 and was addressed to Acting Commissioner of Police Abdulla Nawaz. In the letter, the FIU said a third party deposited $648,508 in hard currency into the president's account on September 5. Another $810,635 was deposited to the same account on September 10. "The whole amount was later withdrawn in hard currency," the letter said. "When the bank asked about the source of the money and its use, the bank was told the money was donations from private companies and various others to be used in the 2018 presidential election," it said, without specifying who spoke on behalf of the president. Ahmed Shifan, spokesman for police, declined to comment on the case. However, two police sources confirmed the authenticity of the letter to Al Jazeera. The letter suggested the transactions were in breach of the Maldives' election laws, which oblige candidates to set up separate accounts for campaign activities as well as declare the identities of donors. Fuwad Thowfeek, former head of the elections commission, said the president appeared to have violated the provision on establishing a separate account for election-related expenses, but he still has time to declare the source of the money. "Candidates must declare each and every donation, who it came from and how much, within 30 days of the election. If he fails to do that, then it's an issue," Fuwad said. A legal expert, who wished to remain anonymous for fear of reprisal, agreed with Fuwad. "The biggest concern here is the source of the funds. When such a large amount of money enters the private account of a head of state, the police must check what the purpose of that money is and ask for credible evidence to back that." Ibrahim Muaz Ali, spokesman for the president, dismissed allegations of wrongdoing. "The president will never act against the law," he said. Yameen, who said he will stay in office until the end of his term on November 17, was ready to answer any questions from law enforcement agencies, said Muaz. The FIU - tasked with receiving and analysing information concerning money-laundering activities from commercial banks - is obliged to flag suspicious transactions to the police. Al Jazeera has learned that Abdulla Ashraf, head of the FIU, was removed from his position soon after the letter was sent to police. However, he continues to work at the central bank. Meanwhile, Ibrahim Mohamed Solih, the opposition candidate who won the vote by 58 percent, has pledged to investigate past corruption allegations against Yameen. A spokeswoman for the president-elect earlier this week warned against attempts by government employees to destroy key documents, a claim Yameen's office has denounced as baseless. Ahmed Nihan, a ruling party official, has previously blamed the president's defeat in the election on "relentless accusations of theft". The most serious of the allegations against Yameen include claims he oversaw the country's biggest-ever corruption scandal, in which at least $79m from tourism revenues was diverted to private accounts and cashed out. The scam, which involved the state-owned Maldives Marketing and Public Relations Corporation (MMPRC), was the subject of the 2016 Al Jazeera investigation Stealing Paradise. Associates of the president, in secretly filmed interviews, said they delivered some of the stolen cash to his residence in black bags. Yameen is also accused of receiving at least $1m of the embezzled money at his private account at the Maldives Islamic Bank. The Anti Corruption Commission has confirmed that, but said it shelved the investigation into the case because it could not reach the person who deposited the cash to the president's account. Yameen, who rejects all allegations of corruption, blamed his former deputy, Ahmed Adeeb, for the theft. In an interview on national television earlier this month, Yameen also blamed the central bank and commercial banks for the MMPRC scam, saying staff there did not raise red flags when tens of millions of dollars in public money was diverted to private accounts.